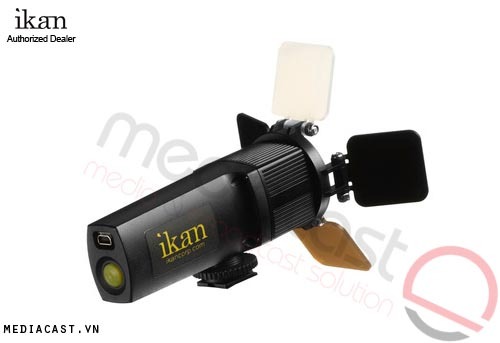 ikan's Micro Spot On-Camera Light is a lightweight, cool-to-the touch, daylight-balanced, on-camera LED about the size of a small flashlight. 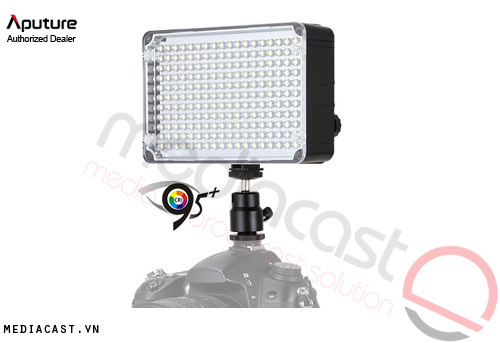 The front of the light incorporates a lens system that creates a 30° beam angle providing a directional light well suited for on-camera use or also as a kicker light. 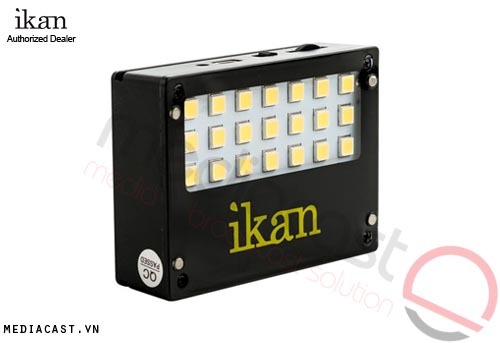 The unit features a discrete on/off switch and is dimmable from 100 to 10% by using an integrated thumb wheel on the side. 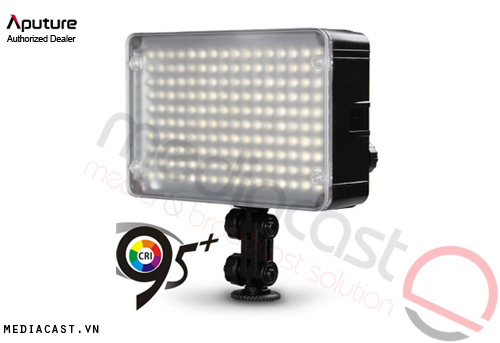 Leveraging LED technology, the light only draws between 1 and 4 watts while producing its bright daylight-balanced beam. A removable barndoor setup features two solid doors for light control, a CTO filter, and a 1/2 diffusion filter. The doors, CTO, and diffusion fold over each other, allowing you to use both the CTO and diffusion at the same time. Although you can hold the unit in your hand, it does feature a built-in cold-shoe mounting foot that includes an integrated 1/4"-20 threaded mounting hole. The internal battery charges in about 2 hours when using a readily available 5 VDC 1 amp USB charger. The unit will run for between 90 and 120 minutes on a single charge. Box Dimensions (LxWxH) 5.8 x 2.7 x 1.3"